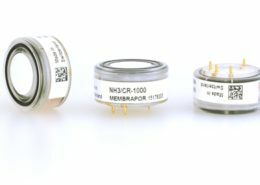 MEMBRAPOR, the synonym for reliable electrochemical gas sensors. Our medium-sized, family-run company supplies OEM of gas sensing solutions and puts great value on quality, customer proximity and flexibility. MEMBRAPOR sensors are manufactured in Switzerland and applied in the most diverse fields across the world. We are proud that our ongoing search for new solutions is continuously improving our product range and additionally, is leading to new developments.